This week we continue with our conservation series highlighting the use of technology to deter wildlife crime. The world is dealing with an unprecedented spike in illegal wildlife trade and this scourge has not spared Kenyan wildlife. Wildlife trafficking and seizures of animal parts having increased dramatically in the past few years. Wildlife crime is big business ran by criminal organizations and unscrupulous business people, estimated to run into hundreds of millions of dollars. This illegal trade has contributed to the steady decline of elephants and rhino’s. For example between 2007 and 2013 in Kenya, a total of 733 elephants and 114 rhinos have been slaughtered by poachers, a catastrophe directly threatening the survival of this magnificent species and effectively overturning decades of conservation efforts. 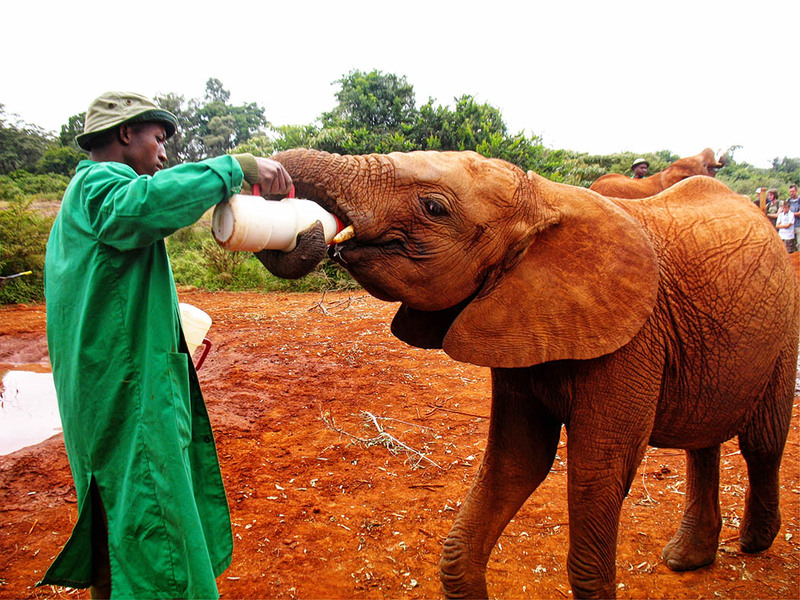 A baby elephant whose mother was killed by poachers being fed at the David Sheldrick Wildlife Trust. 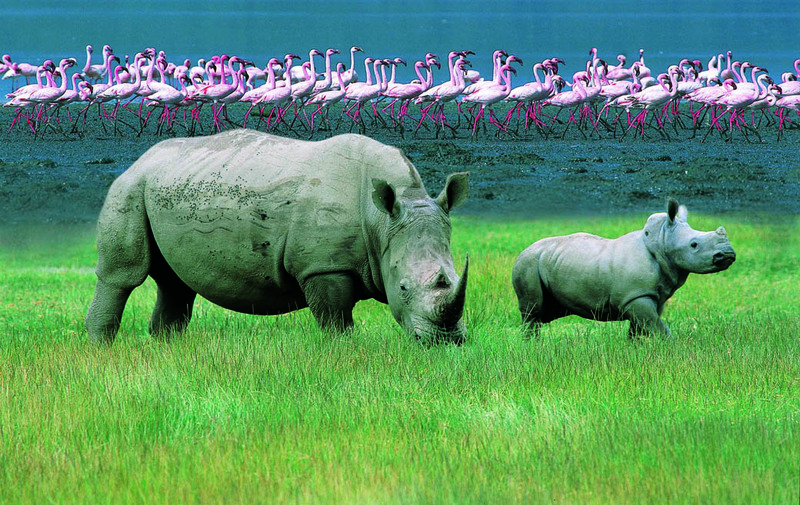 Wildlife is inexorably linked to Kenya’s identity and prosperity. 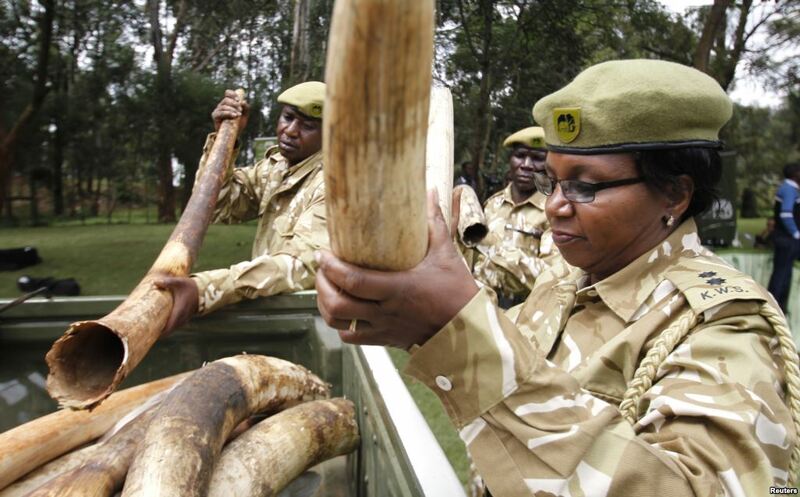 Stamping out wildlife crime is a priority for the Kenya Wildlife Service (KWS) as it is a direct threat to the future of many of the country’s most threatened species. The extinction of a species will have a negative economic effect on the country’s tourism industry, as Kenya’s economy relies heavily on wildlife tourism. More than 300 000 people are directly employed in the tourism sector, and many more benefit indirectly. 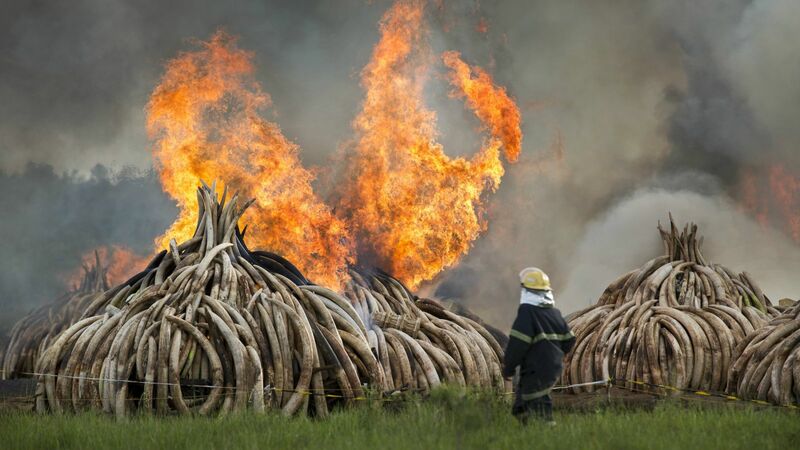 Despite the rise of wildlife crimes in Kenya very few cases were effectively concluded due to inconclusive investigations and inadequate evidence. In 2015 the Kenya Wildlife Service set up a genetic and forensic laboratory, making Kenya the second country in Africa after South Africa to apply Wildlife DNA forensic analysis in wildlife law enforcement. The facility at the KWS headquarters in Nairobi now plays a major role in accurately identifying seized wildlife and wildlife products and bringing to justice the perpetrators of wildlife crimes. For example trade in game meat was rampant, a 2012 report by KWS found bush meat, which basically includes consumption of any wild animals, was a major source of poaching recording over of 6,000 cases that year. Poachers had long discovered that the only means of identifying game meat was by observing the anatomical features of the animals. 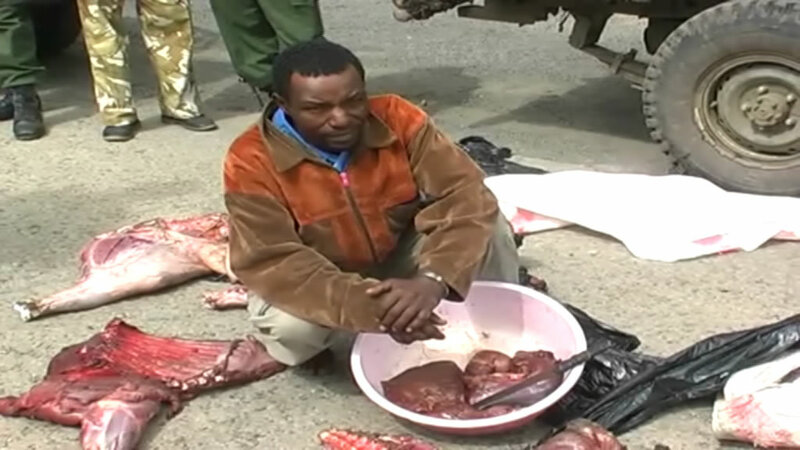 To beat the system, they would de-bone all bush meat before selling it to the markets. With all the bones removed, it became very difficult to determine whether the meat was from wildlife. Suspect game meat samples would be taken to the government chemists, to determine if those were domestic or wild animals. The evidence collected through this means was not conclusive enough and could not be used in court trials. With no concrete evidence to prove that meat harvested was from wildlife, suspects would always claim that the animals in their possession at the time of arrest were part of their domestic flock. Inevitably the culprits would walk off scot free. This would encourage repeat offences while subsequently creating an apathy among law enforcers. Wildlife forensics has been a game changer: the laboratory has proven to be especially effective in distinguishing bush meat from regular meat. With the collection and analysis of DNA samples from recovered specimens, poachers can be more easily linked to the crime scene resulting in more convictions of poachers and traffickers. Offenders have been imprisoned, and this has definitely deterred and reduced the extent of the game meat trade. The Forensic Laboratory is also playing a key role towards conservation and management of endangered and threatened priority species like the Black Rhino through DNA profiling. Linking confiscated rhinoceros product to the specific crime scenes for successful prosecution and conviction has always been a challenge. The Laboratory is part of a chain of global labs contributing towards building up a global rhino database and other key wildlife populations in Kenya. This has enabled determination of random match probabilities between a carcass and confiscated wildlife products to the scene of the crime; therefore aiding prosecution in a court of law. The lab is also in the process of establishing a genetic map of the Kenyan rhino population to genetically determine the origin of rhino horn seizures by matching the DNA with that from the data base. The lab also hopes to create linkages between East African scientists and establish forensics as a way of fighting wildlife crime in the region. The establishment of this lab is critical especially since it came at a time when the country and the wider East African region has been facing a rampant decimation of its Elephant and Rhino populations. Are you interested in articles about conservation? Are they helpful in anyway? 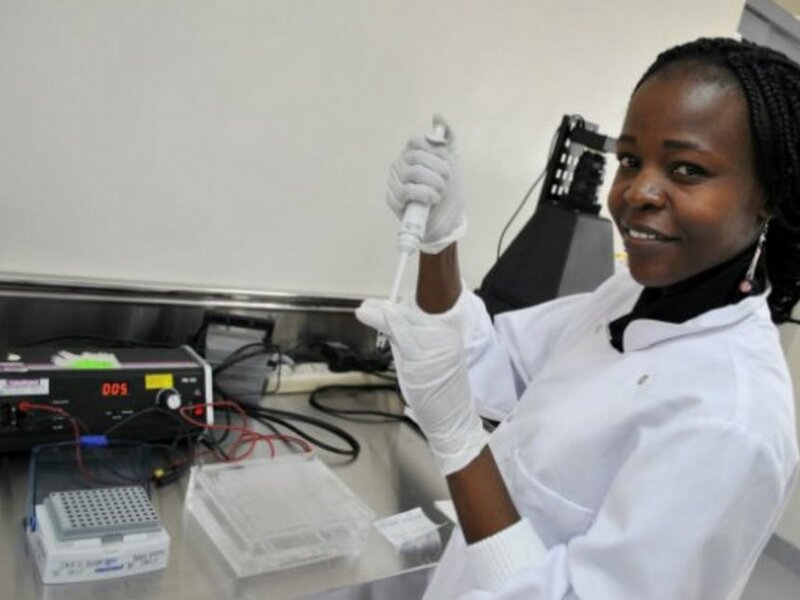 What do you think of Kenya’s efforts to set up a genetic and forensics laboratory. Tell us what you think in the comments below. I think that the use of forensics and DNA to track and identify poached animal products is an excellent use of technology. I always wonder when science comes up with new techniques and discoveries that don’t appear useful. The types of stories you note make it all seem worthwhile. Thanks for sharing these important developments. The photos of the poached items are so so sad, it’s very depressing. I really hope the battle starts to be won with the help of this technology. #Wkendtravelinspiration. Tragic stats you’ve pointed out… “For example between 2007 and 2013 in Kenya, a total of 733 elephants and 114 rhinos have been slaughtered by poachers”.